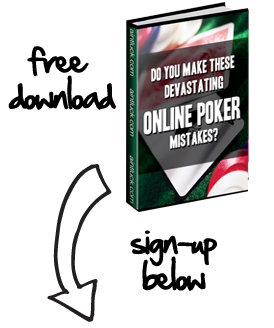 Online poker players love a good poker tournament. With the right price and structure, a well run multi-player tournament can provide hours of enjoyment to participants. If you couple that with a good cause benefiting from all of the proceeds, and that is just an added bonus. This is precisely what will be happening on Thursday night as PokerStars will be hosting a Bad Beat on Cancer online poker tournament. At 9PM, the world’s largest online poker site will begin the tournament which costs just $10 to buy in with $10 rebuys for the 1st two levels. All of the proceeds will go to the Prevent Cancer Foundation, a nonprofit group which helps educate women on Cancer prevention and early detection. In addition to the cash payouts, a plethora of poker personalities and other celebrities have donated some special prizes to the top finishers. Among the benefactors are professional players such as Daniel Negreanu, Phil Gordon, the PokerRoad.com team, the cast of 2 Months, 2 Million and UFC star and former Celebrity Apprentice contestant, Tito Ortiz. The winner of the event will walk away with a “2 Months, 2 Million scholarship”, which comes with a lifetime subscription the Deucescracked.com training site and is valued at $10,000. Other top finishers will earn the opportunity to attend a taping of PokerStars Million Dollar Challenge, what is sure to be a crazy night of drinks with Joe Sebok, Gavin Smith and the rest of PokerRoad, as well as private lessons from Daniel Negreanu and Tom McEvoy. Most importantly however, is the fact that all of the participants will know that by playing in this particular tournament, they will be helping out a truly worthwhile cause. This is one unique event that should not be missed.